Once you actually manage to get past all the restaurants which desperately try to get you in for dinner, and decide on a place, make sure the first thing you order are mussels. So the calories, a single mussel has about 7kcal, but of course no one expects you to count them individually and then work out the values in the garnishes. So I think a 120kcal value for a serving (around 15 mussels) including any butter based sauce is appropriate. This is definitely a dish that can be enjoyed guilt free, and if it is a lunch date then try not to order a side of chips and stick to a diet coke. 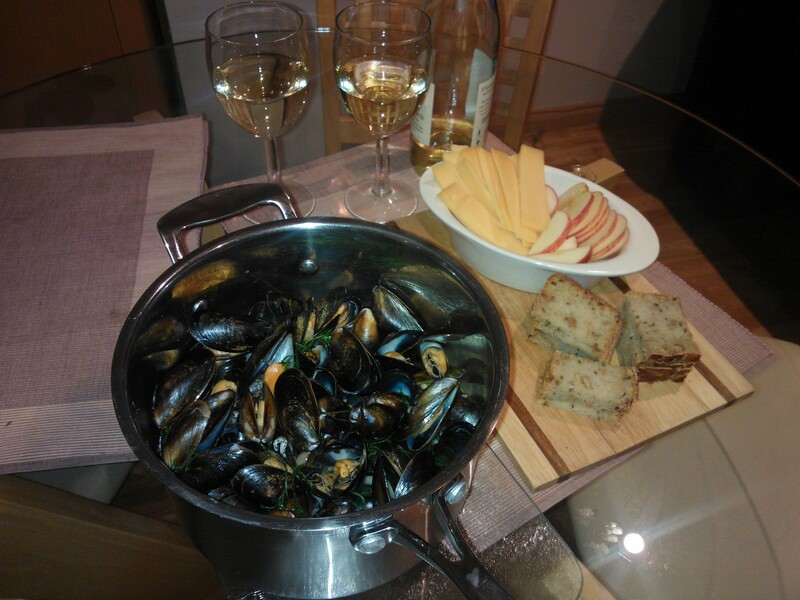 But for the most of us stuck in cold London, I suggest a pack of frozen or chilled mussels from the supermarket, they are tried and tested by myself and I guarantee deliciousness! 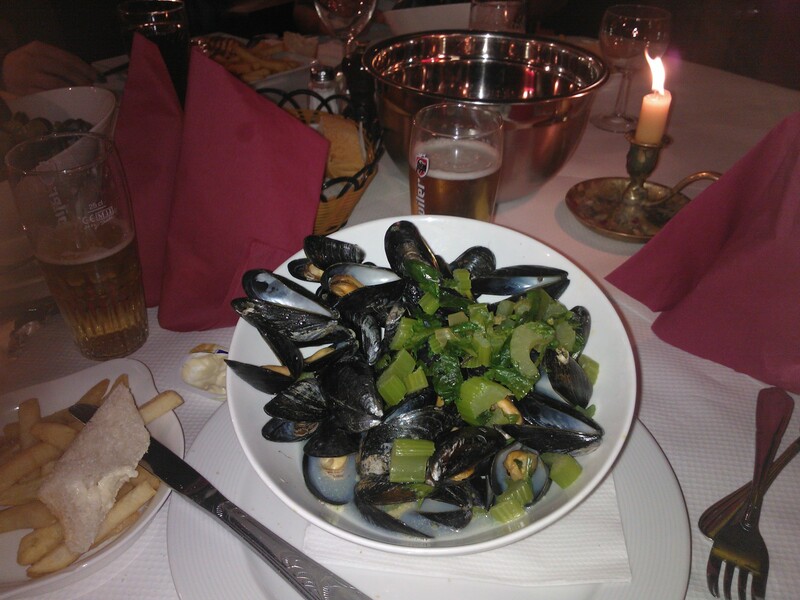 This entry was posted in Travel and tagged brussels, calories, diet, food, mussels, travel on March 13, 2013 by hellotummy.